British rock icon Morrissey writes a lot of open letters; most often including scathing criticism of commercialism, the British Monarchy, foreign affairs, or animal rights violators. 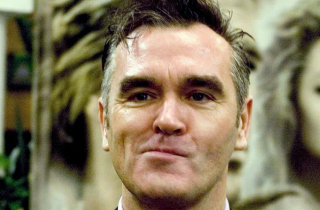 So when you hear that a famous musician penned an open letter to President Obama entitled “Thankskilling,” you likely already knew it was Morrissey’s doing. Posted on the True to You webzine, Morrissey, an outspoken vegan activist, lashes out against Obama and the American tradition of presidential pardons for select turkeys. He accuses the American government of supporting a “viciously cruel” meat industry and suggests Obama and his colleagues support the “torture” of millions of birds annually. As Ingrid Newkirk from PETA points out, turkey ‘meat’ is one of “our nation’s top killers”, causing heart-attacks and strokes in humans due to saturated animal fats and cholesterol. And President Obama laughs. Further, the meat industry is responsible for 51% of human-caused greenhouse-gas emission, therefore the embarrassingly stupid White House ‘turkey pardon’ is open support for a viciously cruel and environmentally irresponsible industry.